Sevenair Group appeared in the Aero International Magazine – February, 2018 Issue. A team of reporters from this large german aviation magazine joined Sevenair. 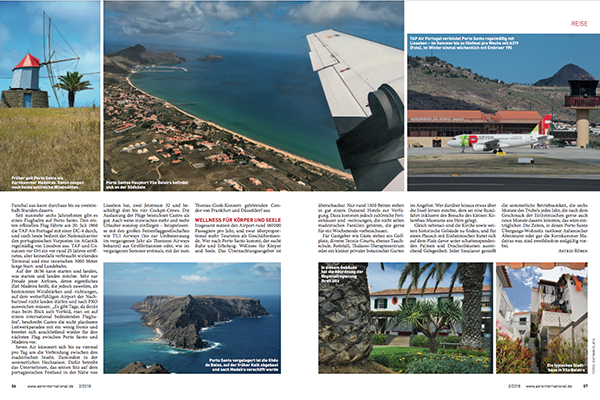 During the visit to Madeira and Porto Santo the reporters had the chance to interview Captain Carlos Albuquerque and copilot João Castro onboard the Sevenair’s Jetstream 32. Passengers a year, and disproportionately more tourists than business travelers, as the island has been praised by its long sandy beach. Sevenair offers up to four daily flights between Porto Santo and Funchal.